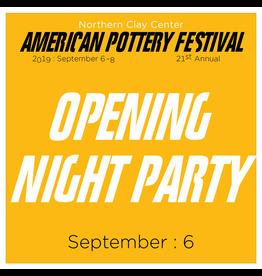 All 25 of this year’s invited artists will travel to NCC to participate in artist-led conversations, workshops, demonstrations, and gallery talks during, and in the days leading up to APF. 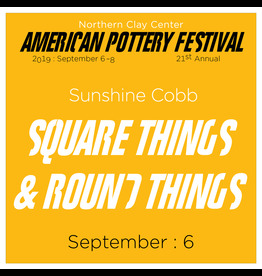 One- and two-day pre-festival workshops are available to those wanting a more concentrated overlap with specific artists; these wrap up in time for the Friday Opening Night party. 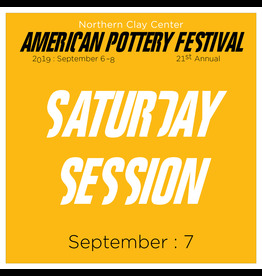 Saturday and Sunday bring a full schedule of panel discussions and masterful demonstrations as part of a special Workshop Pass, available for purchase both online and at the door. 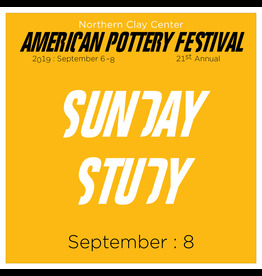 Artist lectures take place all weekend and are always included with your $5 admission at the door. 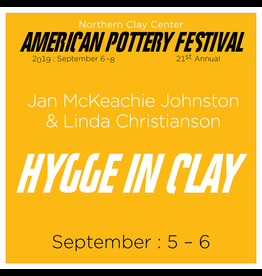 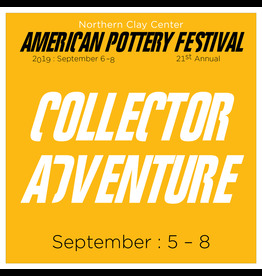 APF promises to be a weekend filled with spirited interactions between artists, students, collectors, and admirers of clay from across America. 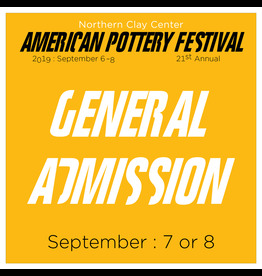 Learn more about APF events, artist rosters, ticket prices, volunteer needs, and opportunities to purchase work online.